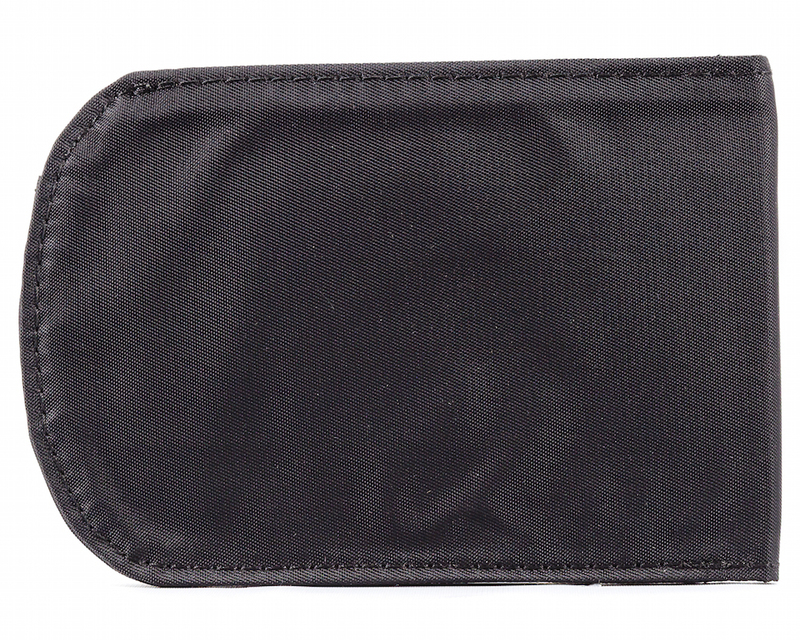 Our most popular front pocket wallet got a turbo boost with new RFID blocking technology! 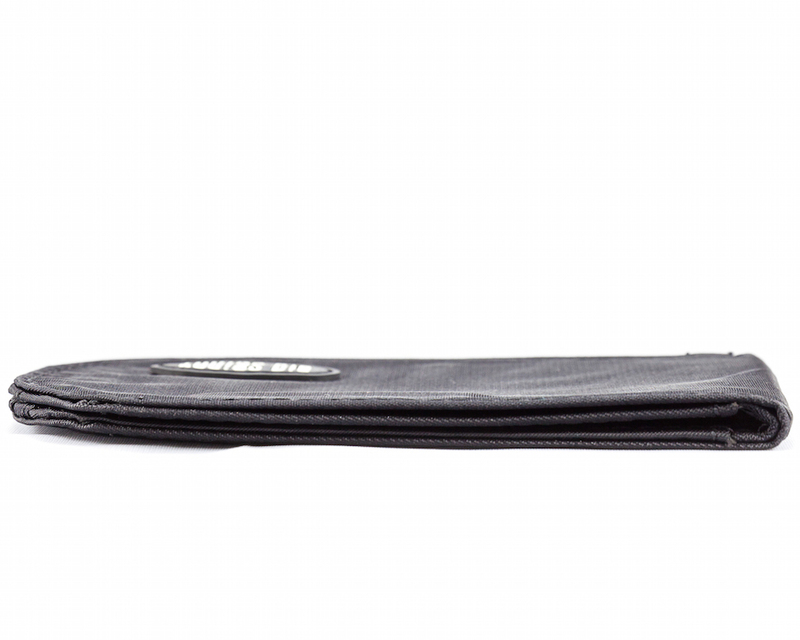 Our nylon microfiber Curve Wallet is lined with RFID blocking material, stave off date thieves and keep your information safe! Front pocket wallet-carriers, this is the model for you! We hate the state the obvious, but hey, it's fun: the curve is designed with two-rounded edges to fit neatly in your front or back pants pocket. 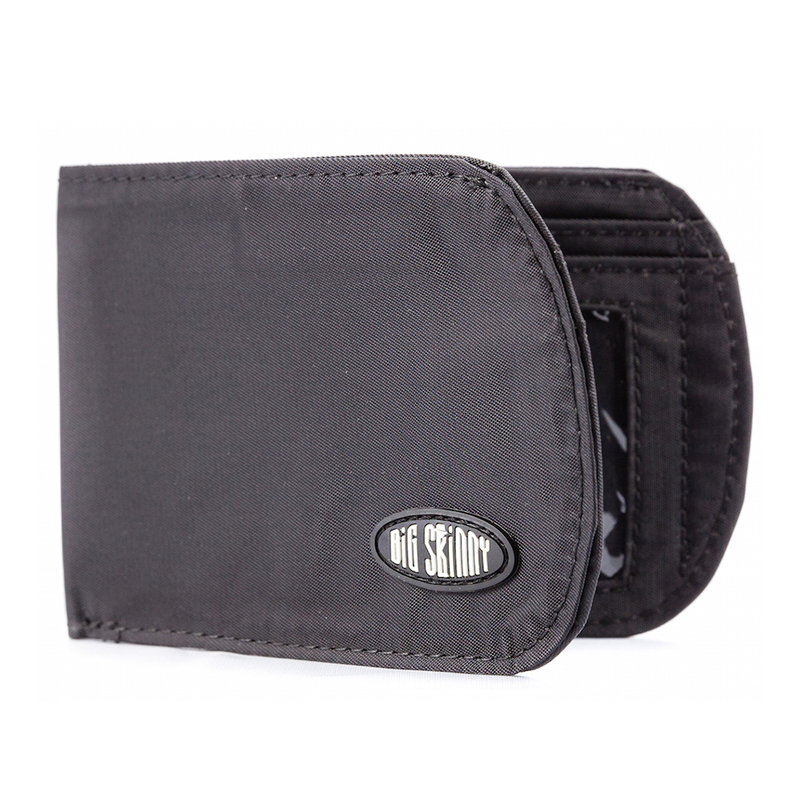 Crafted from tough, machine-washable, nylon micro-fiber, this ultra thin wallet can hold about 20 plastic cards and cash. The pockets and billfold area are lined with a non-slip coating to help prevent your goods from sliding out: smart! This is my husband's 2nd wallet. He gave the first to our 13yr old Grandson for a trip. Both love the wallet. Love this...have been using Big Skinny wallets for years.....great front pocket wallet! After holding up for five years of world travel in climates of various temperatures, I thought it was time to treat myself to a new 'shiny' one. I returned to the site today to do just that. However, when I pulled my big skinny wallet out of my pocket to inspect it closely to write this review, I found actually there was not a stitch out of place. The wallet's material was NOT really worn at all as to be needing replacement. No other wallet is not my life has given me this kind of endurance. I'll check back with you in another couple of years. 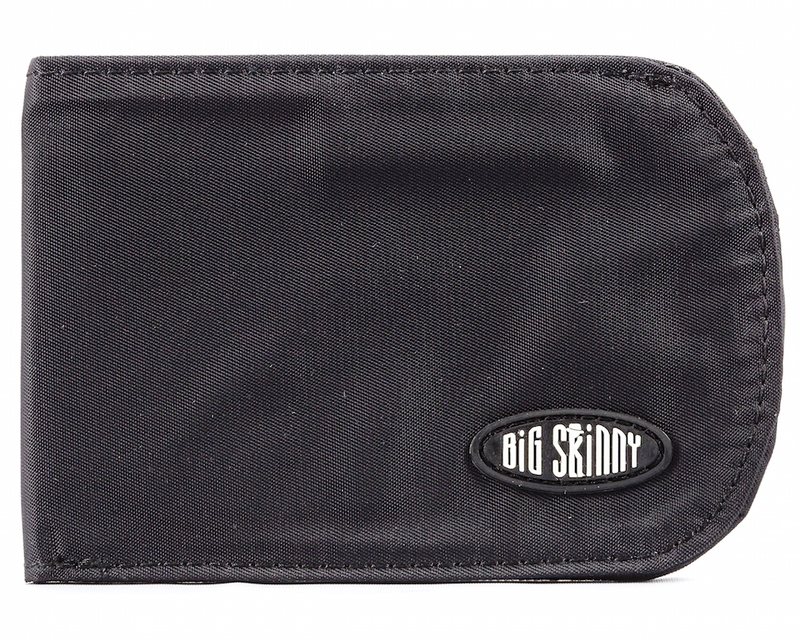 I have been using the Big Skinny Wallet for several years...back almost to the day when it first sold. I was introduced to it at a swap meet booth. It has worked as advertised, light and skinny, while still holding a lot. ProsContinues to work as advertised. The improvements to making the slots for the cards stay in were needed and has been a good improvement along with the RFID blocking. ConsThe only thing that needs a fix is the slot on the left side behind the slot that holds the ID. It needs to be improved by letting the cards that go in that slot to go down more, but just slightly. The card I put in that slight tend to get chaffed at the top, so for now I don't use that slot. I would give it 5 stars if they improve that slot. 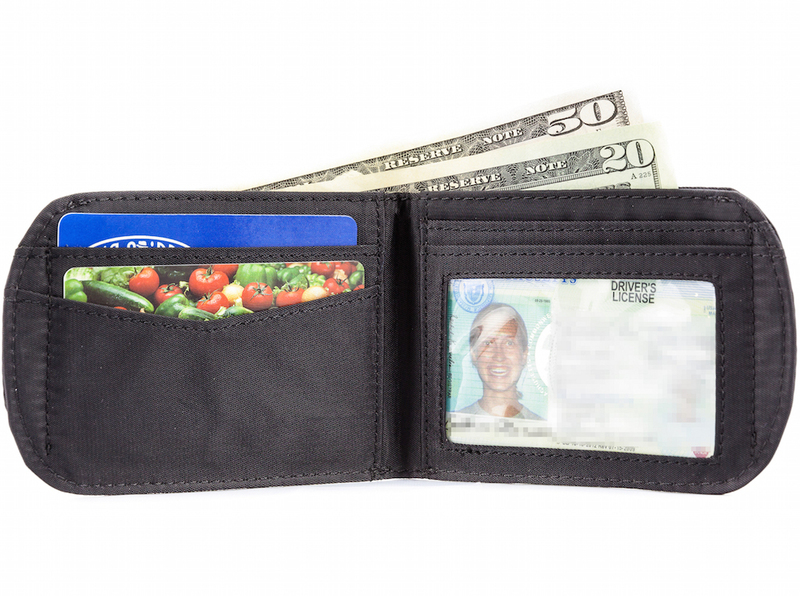 Buying a wallet for someone can be tricky, as wallets can be a very personal choice with specific likes and dislikes. This was purchased for my husband, with the hopes he's like a Big Skinny as much as I love mine. 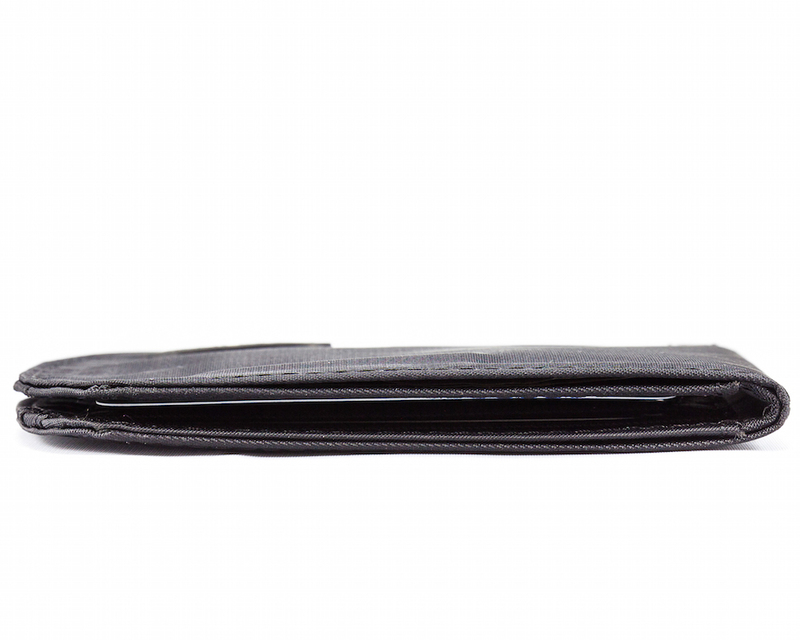 At first, he wasn't sure that the small wallet could hold the contents of his current wallet, but as he tried it, found he had more space, far less bulk, and it was lighter weight. After using it a few days, he volunteered to me that he was really liking the wallet and the style of it very much. This new wallet is perfect. I've been using the Lynx Zipper wallet for the last seven years. Still in good condition. But I need the upgrade. Lol! My second bifold curve in 5 yrs...the first was without RFID protection. Great little front pocket wallet! A great product as advertised and as you would expect from Big Skinny. Transitioning from a Big Skinny trifold, I've had to decrease the number of credit/insurance/ID cards that I carry. Also, the card pockets are TIGHT--add a couple of seconds to each transaction to work the card out of the slot. Maybe they'll loosen with time. ProsSkinny. Curve does fit pocket better. ConsFewer cards can be carried. No bill divider. My son-in-law loved his new curved RFID wallet. He transferred everything from his old wallet to the new one before they left my house.